Is Your Facial Pigmentation Actually Melasma? If So, Here’s What You Can Do About It. 08 Sep Is Your Facial Pigmentation Actually Melasma? If So, Here’s What You Can Do About It. If you’re noticing dark, pigmented patches on your skin where there once were none, you may be wondering what’s going on. Where did the patches come from? Why did they appear? What are they? Perhaps the most important question…how can you get rid of it? You may have a common skin condition called melasma. Melasma is typically located on the face, and the patches tend to appear gradually over a period of time. Melasma can present in a variety of shades – from tan to brown, but can also be black or have a bluish tinge. Pigment distribution is usually symmetrical in nature, and the patches most commonly appear mid-face, upper cheekbones and/or along the jawline. Because melasma is thought to be triggered by hormones, women tend to develop this skin condition at a much higher rate than men. It is especially common during pregnancy – so much so that many people call melasma the “pregnancy mask.” Unfortunately, once those hormones are activated, the spots on your skin may remain there indefinitely unless properly treated. Finding a treatment for your melasma can be discouraging. That’s why at Vivid Face we’re implementing a new laser treatment that will more effectively clear pigmented melasma patches using the advanced picosecond technology of the enlighten™ laser. Until now, nanosecond lasers have been used to treat melasma patches. While somewhat effective, treatment with the nanosecond laser requires numerous sessions and doesn’t always provide complete pigment clearance. However, the enlighten laser uses advanced picosecond technology to remove melasma faster and more efficiently than the traditional nanosecond method. The difference between nanosecond technology and picosecond technology is pulse speed. Nanosecond lasers send light pulses at one billionth of a second – which seems incredibly fast until you consider that picosecond technology sends light pulses to the skin at one trillionth of a second. This translates to faster and more efficient removal. Picosecond technology has been far more successful in removing pigmented skin lesions than any of its predecessors – and does so in a much shorter period of time. A shorter duration of treatment is a definite advantage of the enlighten picosecond protocol. Another advantage is that it has the ability to adjust for the patient’s specific spot size and color of the pigmentation. This allows us to fully customize treatment so patients can achieve their appearance goals in as few sessions as possible. Additionally, the dual wavelength laser makes it possible to treat skin lesions of any depth. Sessions are fast and have only a moderate amount of social downtime. At Vivid Face, we’re excited to offer the enlighten melasma removal protocol. If you’re tired of looking in the mirror and seeing the unwanted pigmentation of melasma, or if you’ve tried everything to get rid of them, perhaps it’s time to try the one thing that works. Click here to schedule your free consultation. Dr. Adam Gropper is a board-certified Diagnostic & Interventional Radiologist and is expert at medical laser applications for the skin. 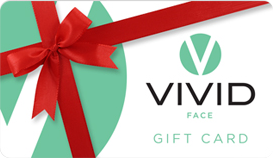 He is the owner of Vivid Face, a pioneer in laser technology and an affiliate of North Beach Vascular & Aesthetics.